Yes. 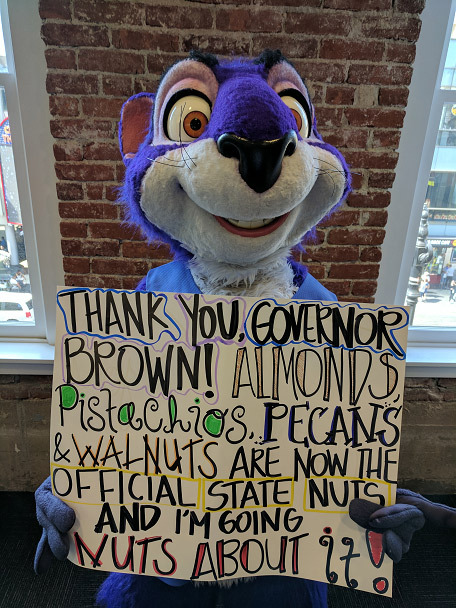 It's True... Almonds, Pecans, Walnuts & Pistachios To Each Be The Official State Nut Of California and Surly is going nuts. Open Road Films' upcoming animated film "THE NUT JOB 2: NUTTY BY NATURE" starring Gabriel "Fluffy" Iglesias, Katherine Heigl, Jackie Chan hits theaters August 11. Check out the image andsee "Surly's" excitement for yourself.